The big brother of the much loved Karma Kup, decorated with your logo. Say no to one use plastic cups that generate a large amount of waste and yes to these eco re-usable coffee cups that can be used over and over again! 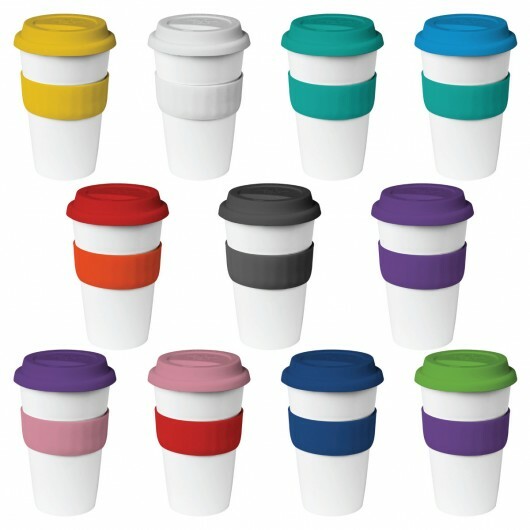 The Karma Kup Grande has a capacity of 535mL and comes with a silicone lid and band in your choice of 12 different colours, giving you 288 colour combinations. They have a gloss finish, are 100% BPA free and are also dishwasher safe for easy cleaning. Get your logo on these cups today!